In almost any type of rehab facility, both individual and group counseling will be used in the patient’s quest to maintain an addiction-free life. While both of these treatment modalities have their merits, some patients do not understand enough about them to feel anything other than fear when going into therapy. However, both individual and group counseling have their place and serve a purpose for the future success of the recovering addict. Individual counseling sessions are vital for patients to share personal information with a therapist. This could include sharing their concerns about progress, their perceived obstacles to maintaining sobriety, their cravings, and other recovery goals. While a psychiatrist or psychologist often leads the 45 to 60-minute session, other licensed practitioners, such as family therapists, substance abuse counselors, and addiction treatment therapists may also be used. After the individual shares fears, concerns and victories, the therapist will lead the individual to coming up with new coping mechanisms and particularly in making new goals for the next week. These sessions are typically scheduled for once a week but may happen more frequently for people just beginning therapy. 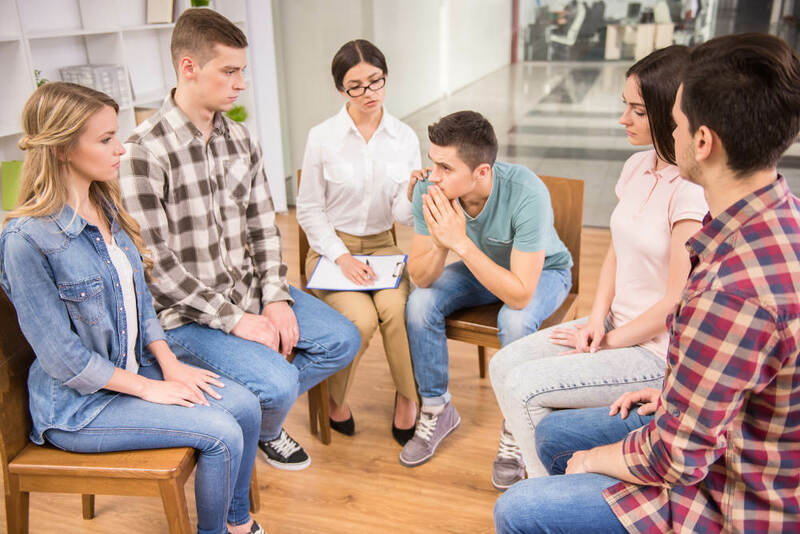 Group therapy is much different in that the recovering addict meets with a group leader as well as with other individuals who are also in the recovery process. Group therapy is an important time for individuals to receive encouragement and help from similar people and to gain hope for the future. In addition, group therapy is an excellent time for the therapist to teach new concepts, such as managing emotions, medications for treatment, how to maintain healthy relationships while recovering and what to share with family and friends. Many groups also include family members and other loved ones. When asked about whether individual or group therapy sessions are better, almost any addiction specialist will tell the person that neither is better. They are both vital pieces of the recovery puzzle. Recovering addicts need time to discuss highly personal matters with their therapists, but they also need time to be in group settings with their peers. Should a person need to choose only one due to time or money, the decision is a personal one that should be made with the help of a healthcare practitioner. First Step Recovery Center is a premiere addiction recovery center that offers both options to patients under Dr. Matney’s supervision.